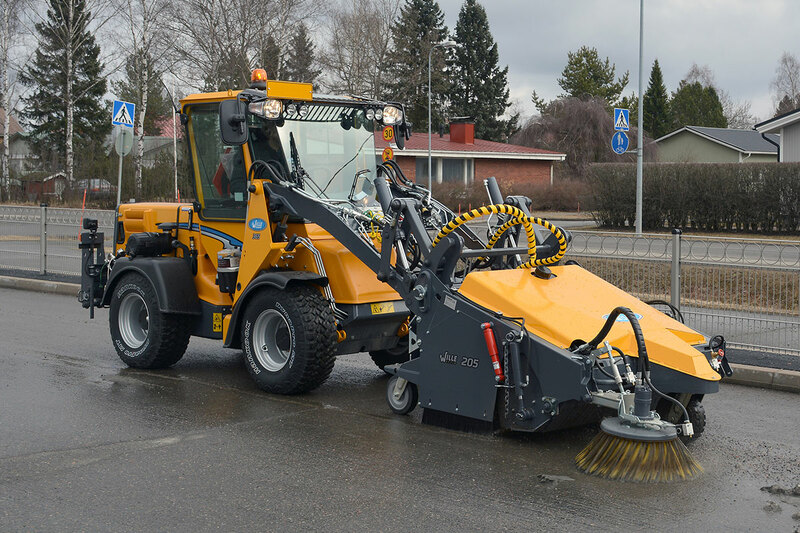 With the collecting sweepers you can clean surfaces and collect the debris into a tank simultaneously. Dust suppression made easier by an integrated water tank which is equipped with sprinkler nozzles for the cup brush and the cylinder. 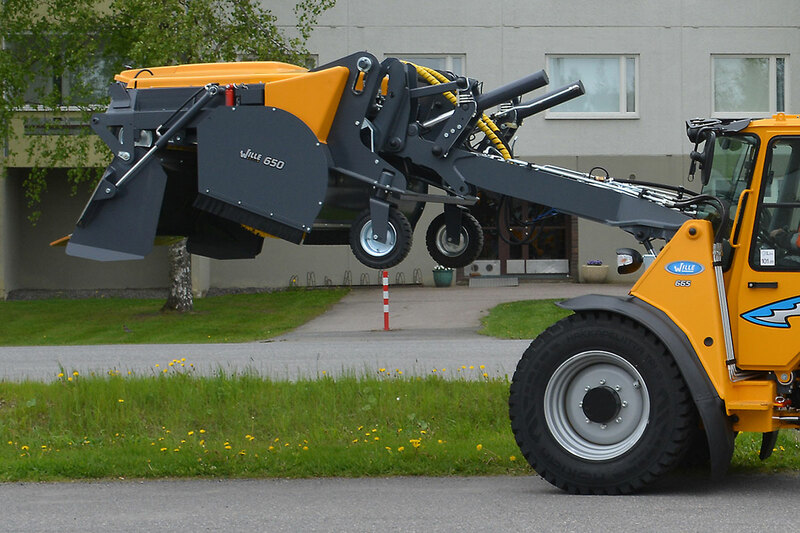 As the tank and the brush move up and down along with the terrain, there is no need to separately lift and lower the device even at the speed bumps. The cup brush yields when it hits the walls or other obstacles. The bottom of the tank opens hydraulically for emptying, and owing to the Wille loader, you can empty the content e.g. to a lorry bed.